5 Gods unchanging hand! 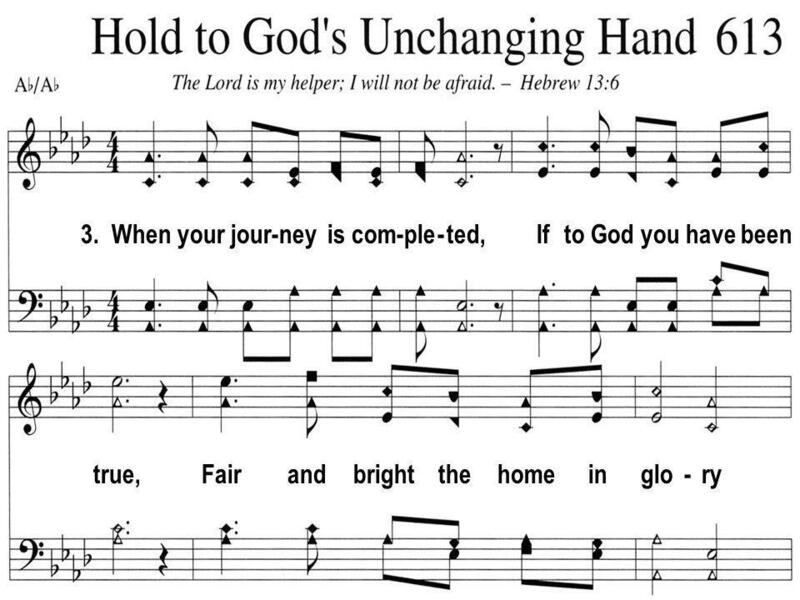 Hold to Gods unchanging hand! Hold to His hand Hold to Hold to His hand You gotta You got-ta Still more close - ly to Him cling. 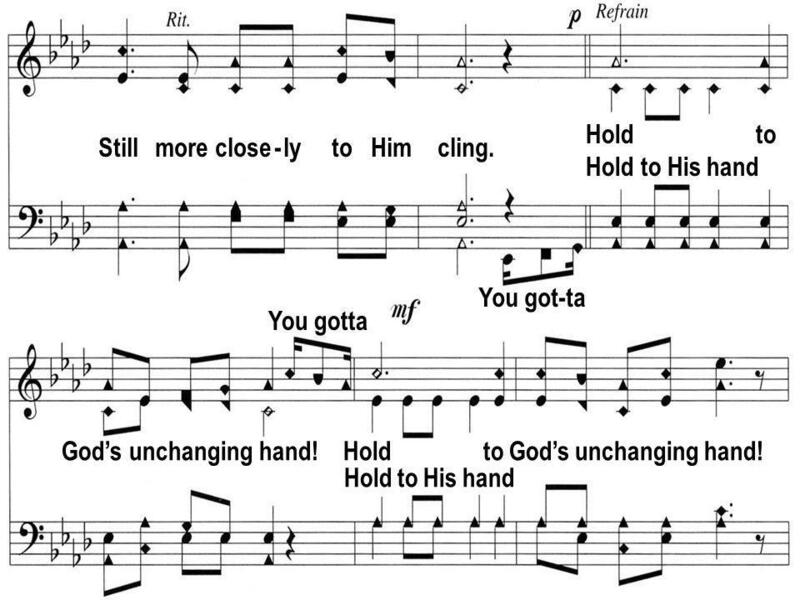 8 Gods unchanging hand! 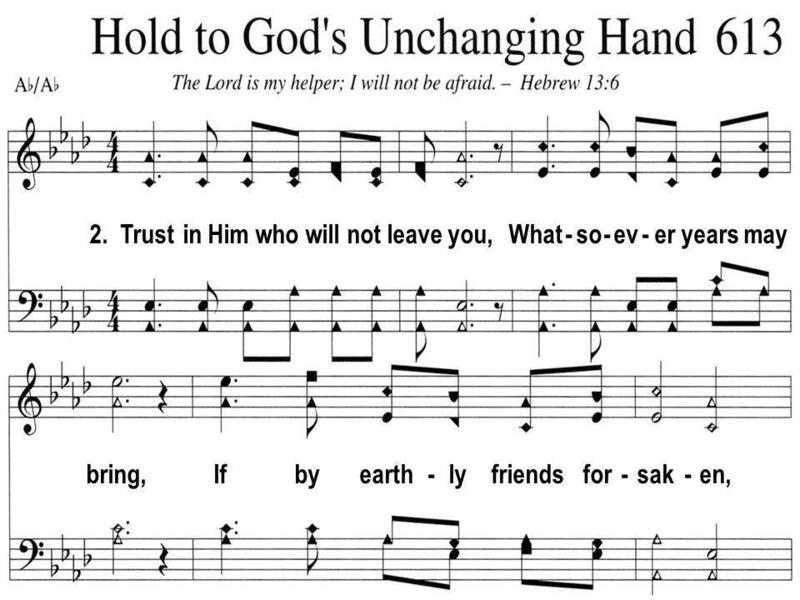 Hold to Gods unchanging hand! 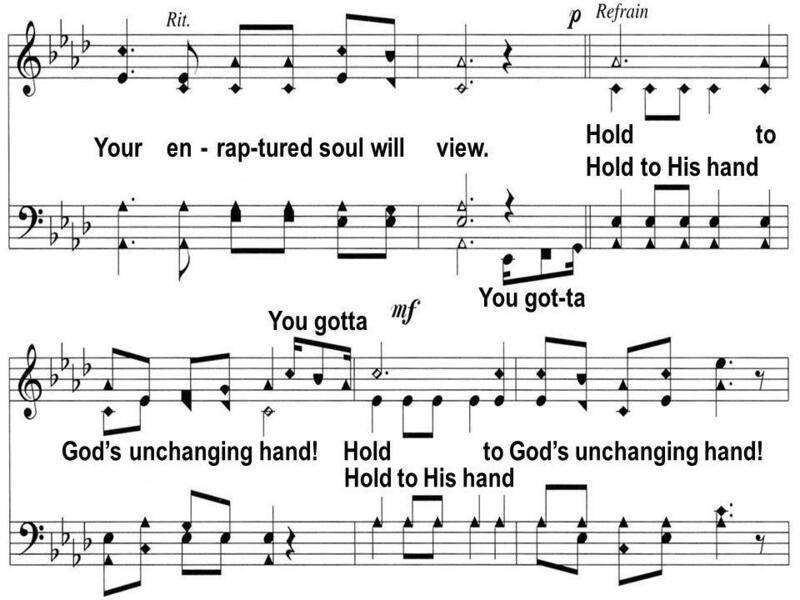 Hold to His hand Hold to Hold to His hand You gotta You got-ta Your en - rap-tured soul will view. Download ppt "1. Time is filled with swift tran-si-tion, naught of earth unmoved can stand Build your hopes on things e - ter - nal,"
1. Come, let us all u - nite to sing, God is love; Let heav n and earth their prais-es bring, God is love; Let ev - ry soul from. 1. If the name of the Sav-ior is precious to you, If His care has been con-stant and ten - der and true, If the light of His presence has. 1. Je-sus is Lord, my Re - deem - er, 1. Je-sus is Lord, my Re - deem - er, How He How He loves me, how I love Him. He is ri - sen, loves me, how I love. 1. Tho dark and drear-y be lifes way and bur-dens hard to bear; Theres One whose love will nev-er fail, my heart shall neer de-spair. God Holds The Future In His Hands Dread not the things that are ahead, The burdens great, the sinking sands, The thorns that oer the path are spread, God. 1. As the deer pants for the wa-ter so my soul longs af - ter You. Blessed Is the Man Bles-sed is the man, the man who does not walk In the coun-sel of the un-godly; bles-sed is that man. He who re-jects the way, re-jects. 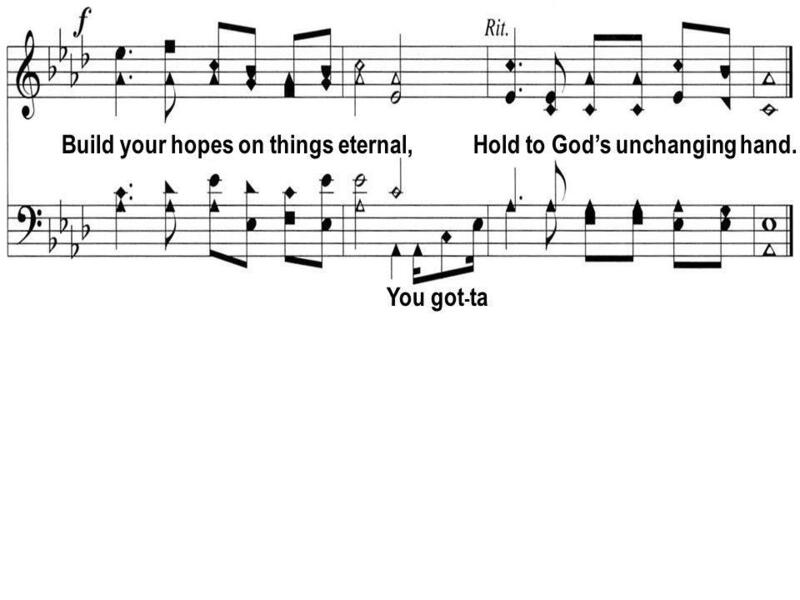 Come, See the Works of God Text: Psalm 46 Music: Dwight Armstrong Page 28. All My Hope on God Is Founded N°004 All my hope on God is founded; He doth still my trust renew. Me through change and chance He guideth, Only good and. 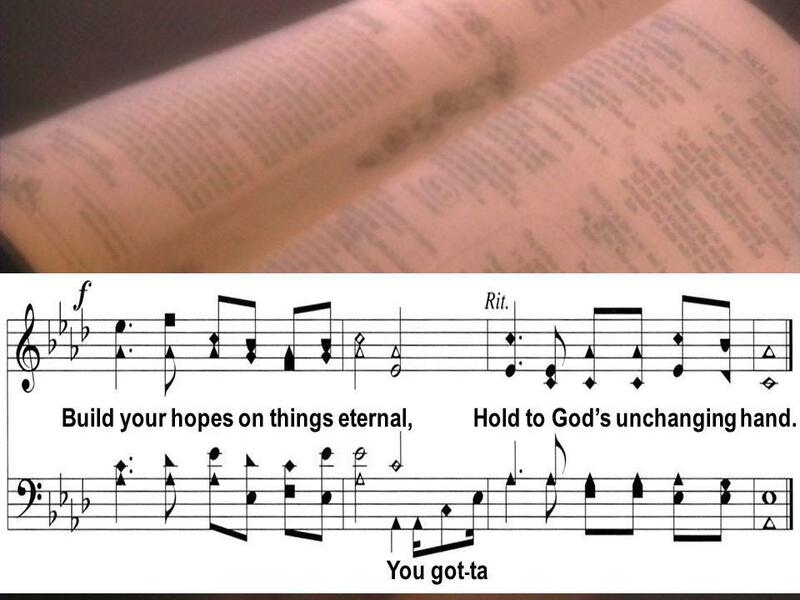 1 ‘All my hope on God is founded’ Church Hymnal No. 10 Public Domain.